I was looking through my google "webmaster tools" and saw google was looking for help in better indexing their image searches. The Image Labeler Beta makes a game out of what I'm sure would be a tedious task. Two online "players" are randomly paired and for 2 minutes are shown the same images. The basic idea of the game is to "name the image" the same as your random partner. You earn points - what for? I'm not sure but you earn them! The site lists the top matches of the day as well as the top all time players. I have noticed that google image search has been sending me traffic lately. 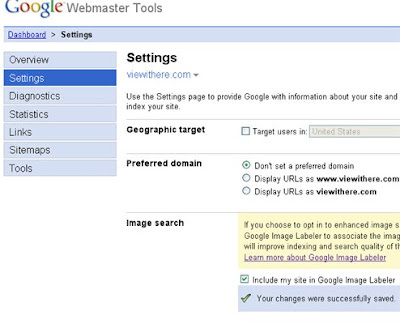 You can add google "webmaster tools" to your account (it is free), verify your site and make sure your images are included in the game (and improve your image indexing). Can't paypal and google just get along? Have you noticed google ppc going down?